I was born just outside of Philadelphia, in Phoenixville, Pennsylvania. I spent a wonderful 12 years playing in the creek in the backyard, going to the pool every summer day and growing into a young girl fond of the King of Prussia Mall before moving south to Virginia Beach. More fun filled years followed in the southern beach town thru high school before I moved and got swept away and truly “southernized” by the charm of Charleston, South Carolina. I fell in love with the South, the tradition and grace, from the willowing giant oaks filled with Spanish moss to the hospitality of strangers on the uneven cobblestone streets. 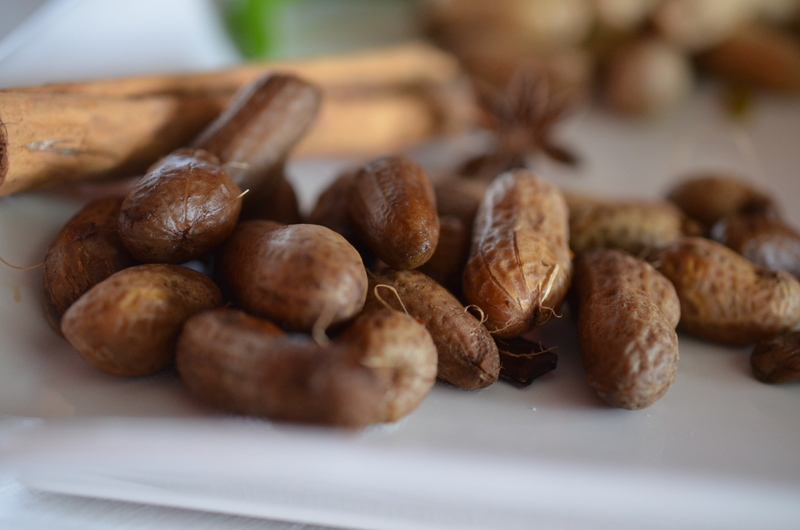 There were only a few southern ways that I could not adapt- one being those giant mushy goober peas, a southern delicacy – Boiled Peanuts. I just could not get passed the soft, gross texture, or that a perfectly good peanut was wasted- how can you possibly beat the innate peanut flavor? However, my husband, who came from even deeper south, Fairhope, Alabama, loves the little boogers and convinced me to make some. I bought a one pound bag and made two different flavors- Cajun and Chinese. The raw green peanuts are harvested late summer but you can still get raw dried peanuts thru the year in most groceries. I immediately had a change of heart when I tasted one of the Chinese boiled boogers. 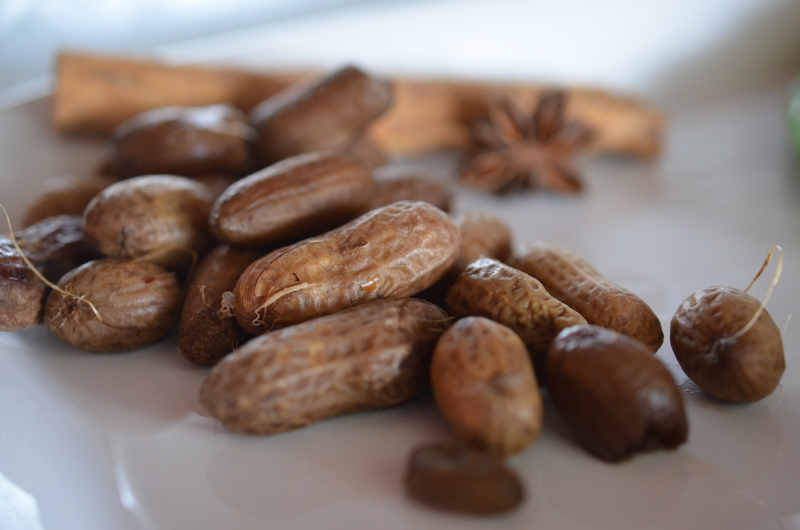 Place the peanuts into a large pot and fill with water, stirring to remove the excess dirt. Drain into a colander, rinse and repeat 3 times. In a heavy bottom pot add the peanuts and pour just enough water to cover. Stir in the soy sauce, sugar, salt, cinnamon, star anise, clove, and dried chili. Bring the mixture to a boil over high heat and then lower temperature to a slow moving boil. Cook for 4-5 hours, checking occasionally that liquid is still covering the peanuts. Add water as needed and cook until desired tenderness. Another method is to use a slow cooker on low for 12 hours. Serve the peanuts warm; reserving the liquid to store the peanuts in, if you have any leftover. Reheat on a stove with the braising liquid to serve later. 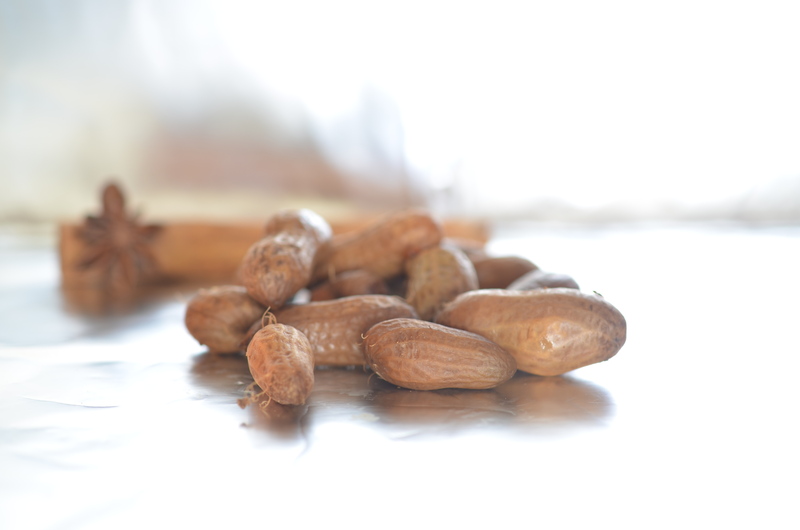 Like any good southerner, I can accept fault with grace- I was wrong about the celebrated boiled peanut. I fell in love with these suckers. The Chinese flavor profile enhanced the traditional peanut flavor that I could not part with, absolutely addictive. With a pile in front of us, Sir Wes and I did not stop eating them until they were gone; barely even a face wipe or a sip of beer. I knew at this point of indulgence that although I have a birth certificate from Pennsylvania, I was truly a Southern girl. 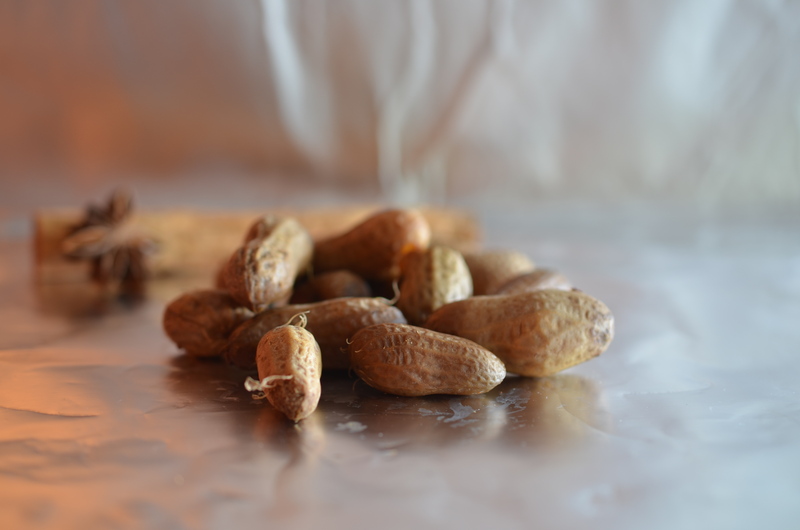 This entry was posted in Boiled Peanuts, crockpots, Game Day Food, Recipes, Snacks, Southern Cooking and tagged Boiled Peanuts, Charleston, Chinese Boiled Peanuts, Southern Food. Bookmark the permalink. Mmmmhhh, that is something extremely addictive! I’m so glad I found your blog! I have to agree, I wouldn’t have jumped at these peanuts, but they are growing at me the longer I look at your photos;) The spice combo looks so good!